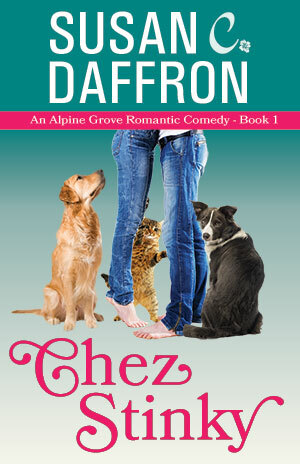 Kat’s uncomplicated life gets decidedly less so when she discovers the inheritance comes with some hairy conditions: four dogs and five cats that her aunt wanted her to love as her own. Of course, the house smells like a barn — with a touch of antique skunk — and, naturally, has serious roof issues. And that’s before the three-legged cat gets stuck in the wall and the shower goes kablooey.